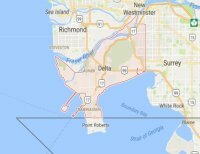 Searching a commercial locksmith in Delta BC to fix a lock? Interested in installing a buzzer system? Want an expert in emergency exit problems or digital locks? Would you like to rekey a lock or install a master key system? We are at your service and ready to arrange your appointment with an expert commercial, office, or industrial locksmith. Regardless of the nature of your business and the size of the building, there are security solutions for everyone. And there is always a pro ready to assist you when you are in need of emergency lock s repair services in Delta, British Columbia. As a professional company, we understand that you want an expert office locksmith to handle the security needs of your business. We can assure you that every pro coming your way is qualified, licensed, and trained. They all bring the required tools with them in order to fix, install, rekey, or change locks. They are familiar with all types and brands. Thus, they can service mechanical and electronic locks. 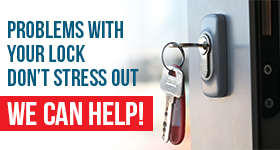 Call Locksmith Delta to set up a service. Not only will our company arrange your commercial locksmith service with an expert pro but also for anything you need and in a timely fashion. No lock or key problem is trivial. Everything related to the security of your office building or the convenience of your visitors and the protection of your valuables is essential. With experience in this field, we are here to offer solutions and send a pro over for any need. If you need help urgently, call us. From panic bar repair to lockout service, a tech will be there to handle your need in a timely and professional manner. You can count on our company to make quick arrangements for any emergency service. And don’t forget the importance of trusting a pro for new installations. 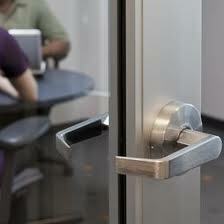 Let us send a Delta commercial locksmith to install a new lock or any security system. Having an expert to advise you and provide the service in a correct manner is vital. Give us a call no matter what you need. From lock rekey to repairs, we are the team to help fast.